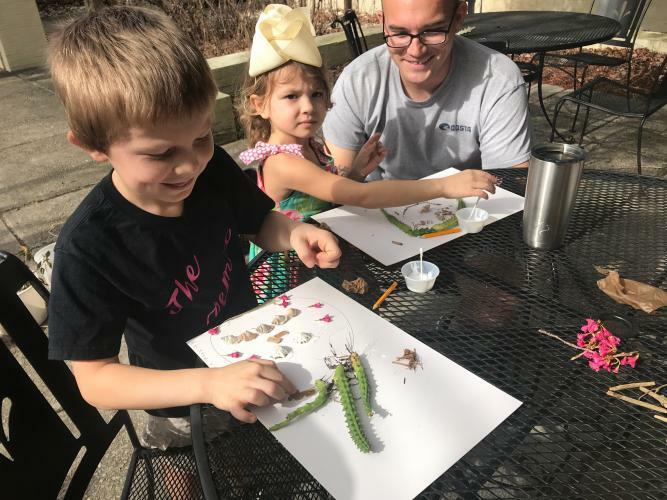 Brookgreen’s monthly Homeschool Explorer Programs will be offered the third Thursday of each month, January throughout May and September through November. Homeschool groups may participate in a themed program that is designed to offer lively, hands-on, standard-based lessons about nature, history, and art. Students will enjoy interactive presentations, tours of exhibits, live animal presentations, and complete a make-and-take craft. Cost is $7.00 per student with one parent per family admitted free of charge. Fur, Feathers, and Scales - September 20, 2018 from 10:00 a.m. to 1:00 p.m.
Why do animals have fur, feathers, or scales? Learn about the importance of animal coverings and discover some of the differences between mammals, birds, and reptiles as we tour our Lowcountry Zoo. Get an up-close look at some of our Animal Ambassadors. Students will complete a fun experiment and craft before the program’s end. In The Garden - October 18, 2018 from 10:00 a.m. to 1:00 p.m.
Take a hike and tour our premier sculpture garden to learn more about the flowers, shrubs, and trees. Students will enjoy a tour of our NEW edible garden and taste a few of our heirloom vegetables. Students will begin their own container garden during a tour of the greenhouse. Students will wrap up the day with fun crafts that complement the day’s theme. Nature’s Believe It or Not - November 15, 2018 from 10:00 a.m. to 1:00 p.m. Animals and plants can do some incredible things! We will investigate some of the craziest things that animals and plants can do and why they might do them. Students will enjoy watching one of our animal ambassadors paint a picture…(Do you believe it?) An animal can paint! Students will enjoy getting hands-on with different experiments and challenges that will leave one to believe it…or not! For policies, registration form and other information, click here.